JuJitsu (sometimes spelled Jiu Jitsu) emphasizes utilizing an attacker's own force, or energy against him/her. JuJitsu directly translates to "gentle art". 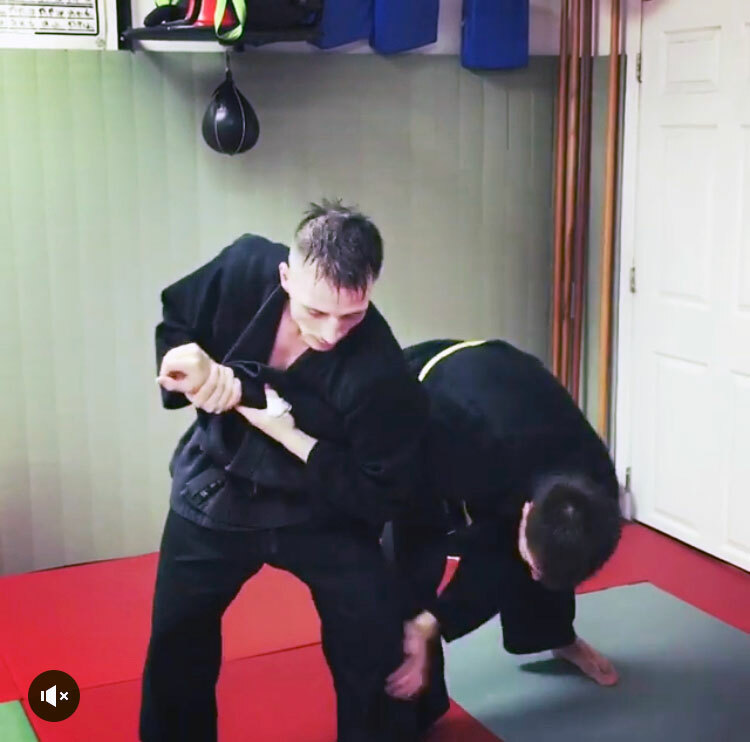 The main overriding principle which is prevalent in all Ju Jitsu techniques is that they require minimal effort and they achieve maximum efficiency. Jujitsu techniques can be used when striking, grappling, or ground fighting. Ju Jitsu uses a "no resistance" philosophy to combat. By using redirection, off balancing and elusiveness, Ju Jitsu students can efficiently disarm or defeat their opponent. Many years ago the Japanese Samurai practiced jujitsu and followed the bushido way. Bushido, meaning, "way of the warrior knight" was a code of conduct which outlined the way Samurai should behave. Some examples of martial arts that have derived from Jujitsu are Judo, Aikido, Sambo, Karate, BJJ, Krav Maga, and Kenpo. Many techniques seen in mixed martial arts sport fighting contests like the UFC are derived from Jujitsu. There are more than 200 different schools of Jujitsu in Japan alone. Ju Jitsu students are encouraged to practice Jujitsu for self defense in order to cultivate a person's mind, body and spirit. It should not be used to vent one's anger, or frustration. If you are looking for a self defense school in Staten Island, we welcome men, women, and children of all ages. 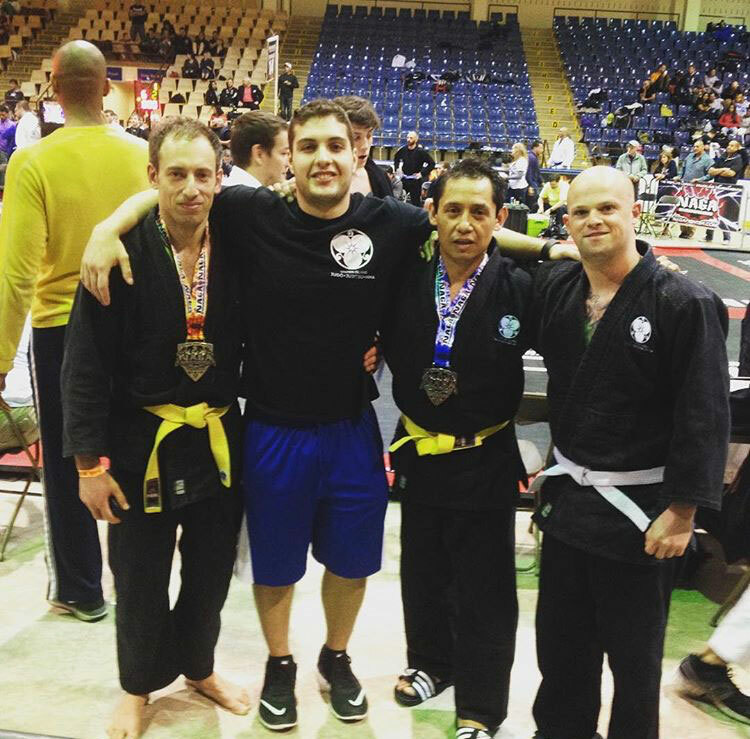 Some of our students participate in sport Jiujitsu tournaments. These tournaments have various different types of rule sets. We all have different goals that can be achieved through studying martial arts. 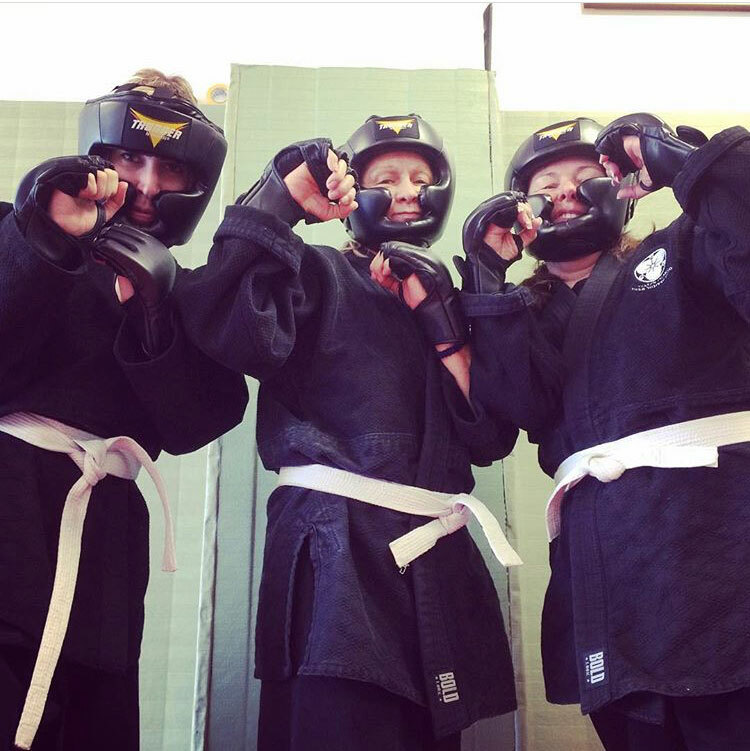 Come see how our Jujitsu class can help you achieve yours. We offer Jujitsu classes for all aged adults. Remember your first trial class is FREE! -Access to Adult Jujitsu classes. -Access to our Saturday sparring class. -Discounted pricing on all of our martial arts merchandise and memberships. -Discounts on all products or services offered by our local Staten Island business affiliates. -Access to Bootcamp Circuit Training Equipment and facility. (718) 717-2143. Try it FREE today!